The subject of this book is game-theoretically oriented semantics, which provides an alternative to traditional Tarski-style semantics, implementing Wittgenstein’s idea of the meaning as use. The basic idea is that the meaning is obtained in a game between two players, one trying to defend and the other trying to falsify the expression at stake. The notion of truth, or that of validity, is based on the existence of a winning strategy of the initial verifier in a game. The direction is the opposite of that in Tarski-style semantics: the game starts with the entire expression and runs until its component parts are reached. 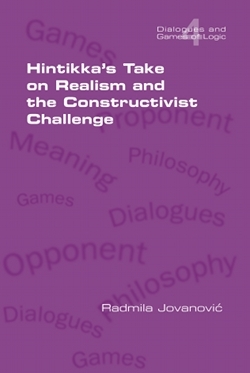 In this book I will be interested in two different game theoretical traditions: Game Theoretical Semantics, developed by Jaakko Hintikka and Gabriel Sandu, and Dialogical logic, first introduced by Paul Lorenzen and Kuno Lorenz and further developed by Shahid Rahman and his associates.